I feel like this season has been all about the coat and I'm so glad because honestly when the temps get so low, a coat might be the only thing you see (besides shoes) a person wears. You could very well get away with wearing a less than attractive top and no one would be the wiser. 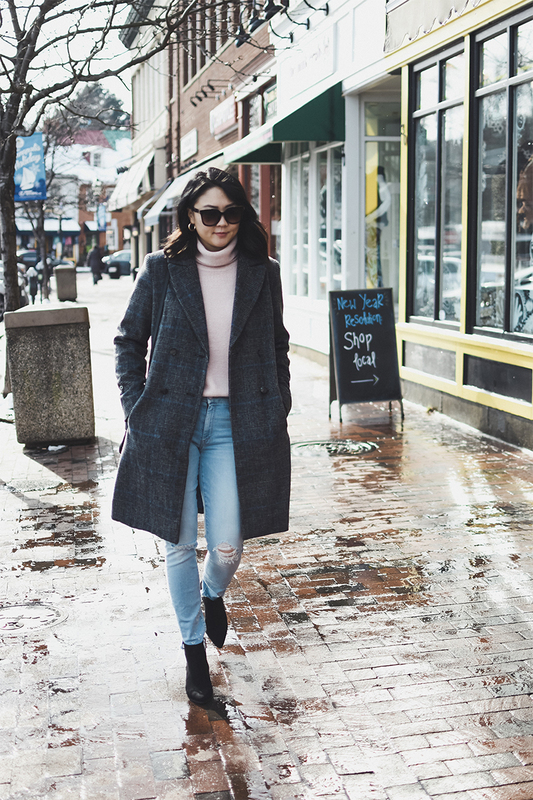 With so many different coat options, it makes being in the cold just a little bit more fun. And you know me, I'm not the biggest fan of the cold so if I'm saying this then you know the coats are good this year. The plaid blazer was huge last season and it was definitely trending again this season. With it's mass appeal, it got translated into coats and I for one couldn't help myself getting on that plaid coat train. The best thing when a certain piece of clothing gets so popular is that you can find it at all different price points. The coat I'm wearing was just $60 at Target. Unfortunately, it sold pretty quickly, BUT like I said, this style is everywhere so I was able to find a few similar options for you guys (scroll down).